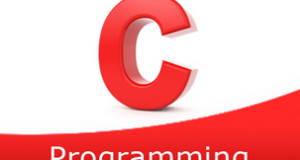 C program to search all occurrences of a character in a given string – In this article, we will explain the multitude of ways to search all occurrences of a character in a given string in C programming. As you can see given in the image above, firstly, you need to enter a particular string. The, enter the character that you want to be searched. The character ‘e’ is chosen in this case for the entered string. Read the entered string and store that string in the variable s using gets(s). 2) Read the entered character to be searched using getchar() and store the character into the variable c.
3) The for loop iterates through the string from i=0 to end of the string. a) If the character at the variable c match with s[i] then print the location of the character where it found in the string. b) Increase the i value to go through the next element of the string. The main() calls the check(char *s, char c) function by passing the string, character as arguments to the function. 2) The function prints all occurrences of the character in the string. a) Compare the given character with each element of the given string using the for loop with the structure for(i=0;s[i];i++). b) If the character matches with the element of the string s[i], then print location of the string i. Otherwise, go through the next element of the string. The check(char *s, char c) function calls itself recursively until the character at s[i] becomes null. 2) If the s[i] of the string is not null then compare the character with s[i]. a) If both are equal then print the location of the character i.e ‘i’. b) Increase the i value. c) The function calls itself.